Verge (XVG) attracted massive trading volume as its price surged after the official release of Wraith Protocol. Wraith Protocol, Verge (XVG) cryptocurrency’s much hyped and awaited feature has been officially released, leading to a major surge in the price, taking it from around 1100 Sats to almost 1500 Sats ($0.23) at the time of writing. 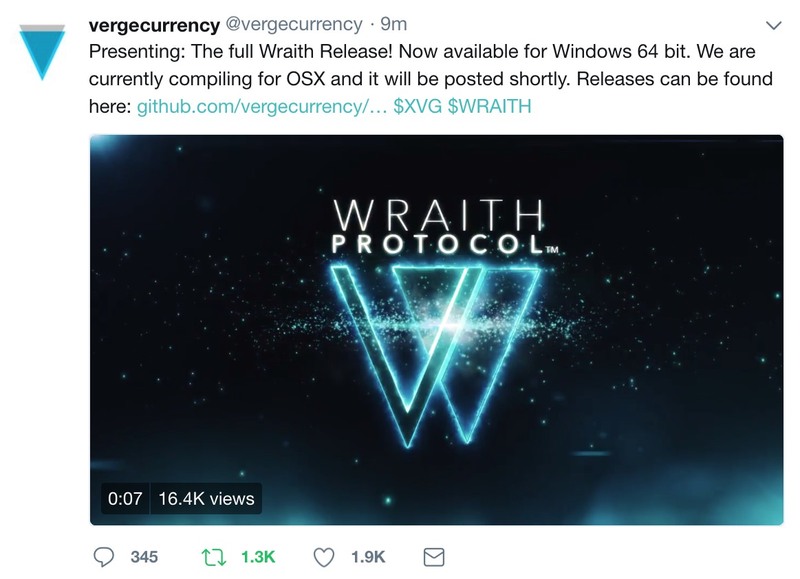 Even though the project’s Github page was updated about an hour ago with “Wraith Release Full”, the currency’s official Twitter made the announcement after a brief delay. Verge (XVG) has had its share of controversy in the past few weeks, from John McAfee’s recommendation taking it from pennies to $0.30, following which he claimed it was overpriced. The ensuing drama and the botched Wraith Protocol release on new year’s eve lead to a major dip in price. 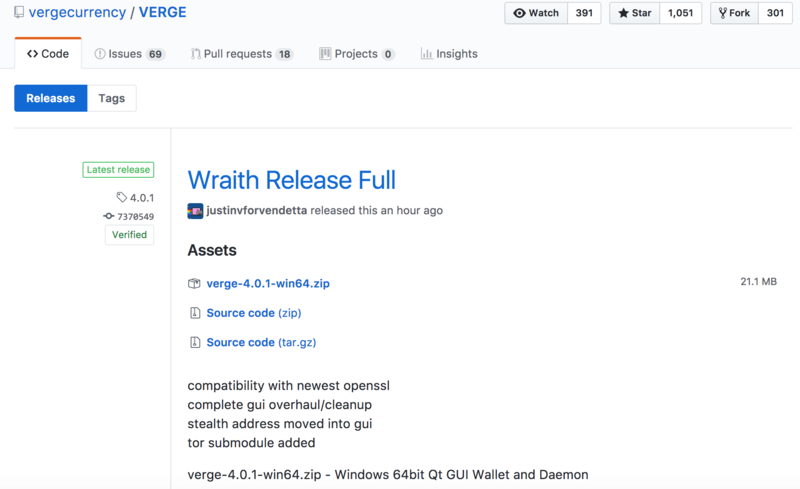 Simply put, Wraith Protocol is a feature on the new Verge client which allows users to switch between public and private ledgers when making transactions. Any transaction made with Wraith Protocol switched on will not be recorded on the public blockchain and hence hidden from the blockchain explorer. 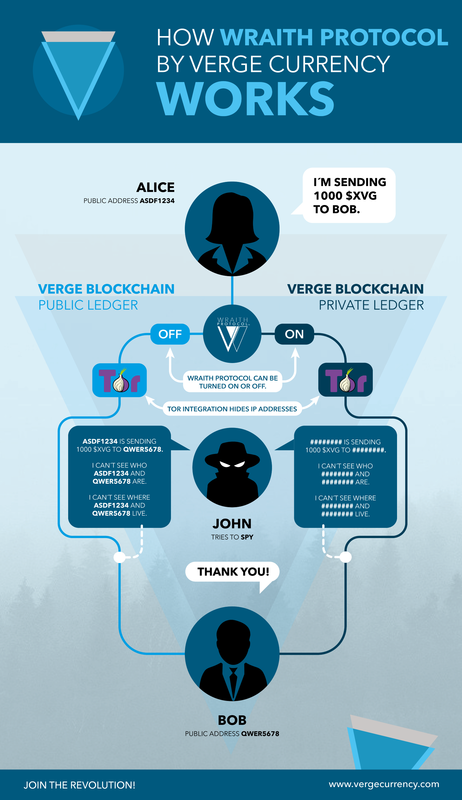 Where does Verge go from here? With Wraith Protocol’s release, Verge is currently experiencing massive price action, continually testing the 1500 Sats resistance. It is also currently reporting the highest trading volume on Bittrex, ahead of Ethereum and Ripple. Whether or not Verge will reach its former all-time-high of almost 2000 Sats remains to be seen, but its community appears more passionate now than ever. Yesterday, Uquid, a service which provides debit cards that can be loaded with cryptocurrencies, also announced support for Verge. Additionally, the development team has indicated that Wraith Protocol is only the first of major updates planned this year. Given how privacy-centric coins like Monero, Zcash and Zcoin have seen major surges recently, Verge appears to have a good chance at touching new heights, provided the technology behind it manages to come through.